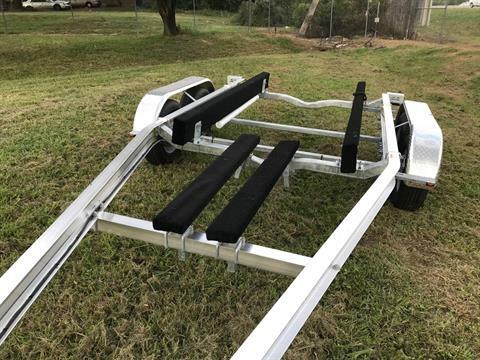 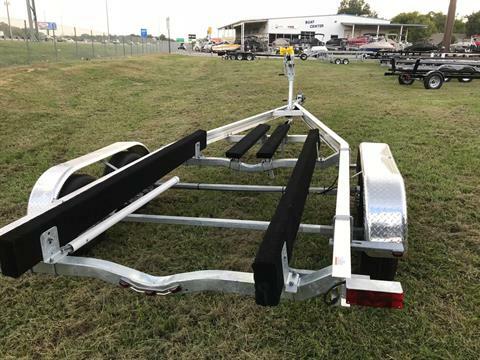 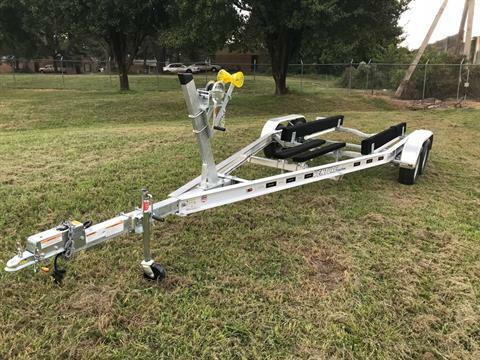 aluminum tandem trailer for 20 to 22’ boats less than 5225 lbs. This tandem axle Venture aluminum trailer will carry boats 20 to 22’ long, that weigh less than 5225 lbs. It has a 2” coupler, waterproof tail lights, 14” tires, galvanized wheels, disc brakes, adjustable winch stand and bunks, and it is 100” wide and weighs 950 lbs. It also has a standard fold away roller tongue jack. 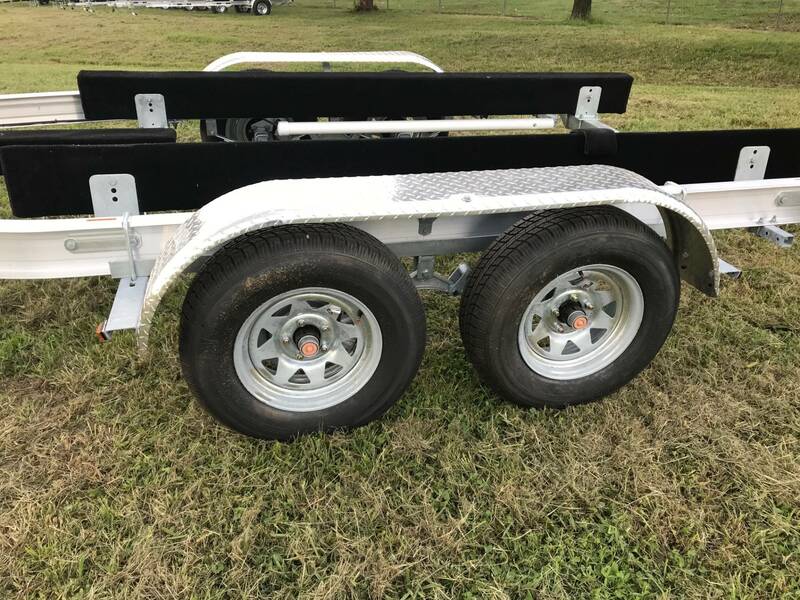 It should last a very long time.